IANR’s expanded global engagement team includes key program leaders embedded in academic units. This model ensures that global engagement is a collaborative effort with institution-wide reach. In his role as Assistant Vice Chancellor, Josh leads internationalization efforts across the Institute and serves as part of the IANR leadership team. 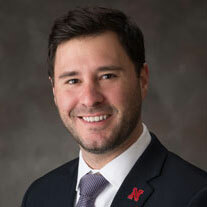 Prior to coming to IANR in 2015, Davis served as Assistant Vice President for Global Strategy and International Initiatives for the University of Nebraska system where he worked closely with all four campuses to provide vision and strategic direction to NU’s global engagement efforts and to advance the university’s key relationships in places like China, Brazil, India, and Turkey. Davis worked for the federal government before coming to Nebraska. He has served in multiple positions at the U.S. Department of State, both domestically and overseas, and has also worked in the Office of the Secretary of Defense and in the U.S. Senate as a foreign policy advisor and Brookings Institution Legislative Fellow. 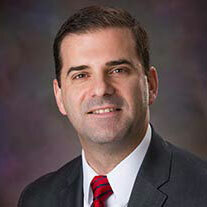 He is a graduate of the University of the Akron School of Law and a member of the Ohio Bar Association. 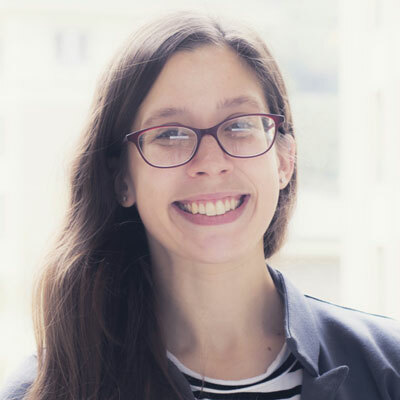 In her role, Liana manages engagement efforts throughout Latin America and directs faculty to funding opportunities to host/advise international scholars including the USDA-FAS Borlaug Fellowship and USAID-BHEARD programs, as well as facilitates the hosting logistics of those scholars. She also coordinates visits of international delegations, with a focus on connecting IANR faculty to visiting researchers in their areas of interest. 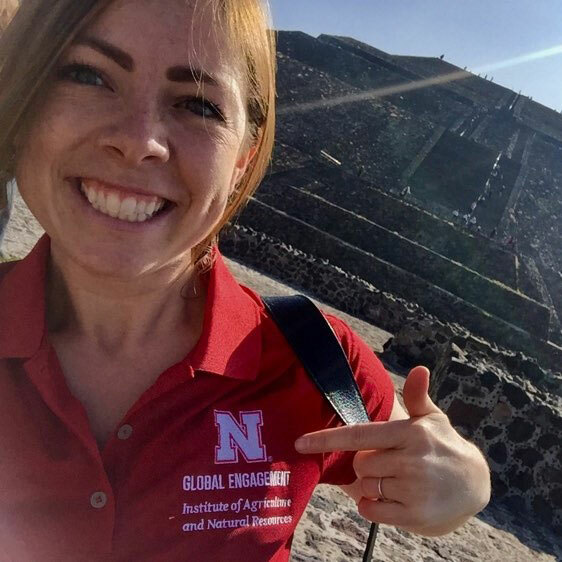 Liana started at UNL in January 2012 as the Liaison of Brazil Scientific Mobility Program for the College of Agriculture Sciences and Natural Resources, creating the original processes and programming for the inaugural cohort, as well as continued program management, advising and support for over 250 more Brazilian students over the next several years. 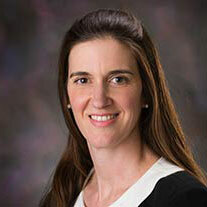 Previously, she worked as a research scholar at the USDA Agricultural Research Service Meat and Animal Research Center (U.S. MARC) in the Nutrition Research Unit. She holds a B.S. in veterinary medicine from the State University of Londrina (Brazil), and received both her M.S. and Ph.D. in animal science from the University of São Paulo/ESALQ (Brazil). She is a native Portuguese speaker. Jon’s primary duties focus on increasing collaboration and engagement between UNL and institutions of higher education throughout mainland China and greater Asia which have a focus in the field of agriculture and natural resources. Prior to join IANR Global Engagement, Jon worked and studied in mainland China for nearly five years at institutions of higher education throughout the country as an instructor of language, culture, politics, and business. He has worked in the international non-profit sector in Brussels, Belgium as Asia-Pacific Desk Officer for Pax Christi International, a human rights NGO and as International Student Coordinator at the International Education Center in Minneapolis, Minnesota working with newly arrived immigrant and refugee families. He moved to Lincoln in 2013 to work as Global Exchange Coordinator for the College of Education and Human Sciences (CEHS) and the College of Agricultural Sciences and Natural Resources (CASNR). He has recently joined IANR Global Engagement where he will focus on increasing and strengthening relationships in the Asia-Pacific region and also remains with CASNR focusing on overseas student academic programming. Jon holds a B.S. in social studies education from St. Cloud State University in St. Cloud, Minnesota and an M.A. in international political economy from the Brussels School of International Studies at the University of Kent in Brussels, Belgium. He is currently pursuing a Ph.D. in educational leadership and higher education and speaks Mandarin Chinese. Blayne manages partnerships and exchange for Africa for the Global Engagement office. Blayne joined IANR in January 2016 after living and working in East Africa for six years. Blayne was the executive director of a development organization that leveraged corporate and foundation partnerships to launch a career and leadership program that has prepared hundreds of students from Rwanda, South Sudan, Burundi, and the Democratic Republic of Congo to study in North America and Europe. A key component of Blayne’s work is coordinating with industry partners and multinational organizations to create career opportunities for students in Africa. Blayne served as the project coordinator to build Rwanda’s first commercial livestock feed mill, a national priority project, and he worked with a team to launch a business advisory service that provided much needed support to new enterprises, mostly related to agricultural and rural development. 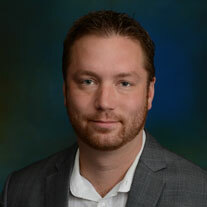 Blayne’s current work includes managing IANR’s efforts to strengthen higher-education learning opportunities in Rwanda. Blayne studied business at the University of Central Arkansas and is currently pursuing a master’s degree in community development from the University of Nebraska-Lincoln. Brianne works to tell the story of IANR’s global activity through internal and external outreach: from mapping the reach of faculty collaborations across the world to communicating internationalization throughout the Institute on social media and beyond. She helps to coordinate and host foreign delegation visits in addition to providing programmatic support for the Office’s various initiatives. Hailing from rural Nebraska, Brianne brings both local knowledge and an international lens to the team. Prior to joining IANR, Brianne worked nearly three years for the Ministry of Spain’s Consulate of Education, Training and Employment (La Rioja) in addition to travelling to over 35 countries across Europe and the MENA region. Her U.S. professional experience includes new venture development with an environmental nonprofit and doing social media, writing and strategy work for several companies in the Lincoln/Omaha area. Brianne holds a Bachelor of Journalism degree in public relations and advertising from the University of Nebraska-Lincoln and is currently pursuing a master’s degree in natural resource sciences with a human dimensions specialization. She speaks Spanish. Sylvana is the primary lead for the Undergraduate Scholarship Program for Rwandan students, managing student support efforts administered through CASNR, including recruitment, facilitation of admission, coordination of academic advising, creation of internship opportunities, and assisting students identifying career opportunities in Rwanda. Sylvana migrated from Pakistan and joined UNL as a student in 1979. At UNL, she was a student of theatre and has applied this line of studies to coordinating and directing a play for the past 27 years for the community of Lincoln and neighboring towns and states. 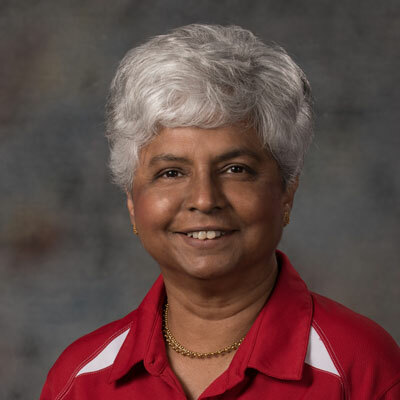 In 1983, she joined UNL Housing as an accounts specialist and in 1985 was promoted to the position of Assistant Director of Business-Contracts and Student Services. In that position, she implemented the contractual agreements for UNL Housing with various universities including Senshu University (China), Nanzan (Japan) and the University of Aberdeen, Scotland. She also coordinated the housing and billing for students under the ISEP (exchange program) and Intsormil (Sorghum Millet International research) programs. She has worked closely with UNL students from Oman, Saudi Arabia, Brazil and Rwanda in providing housing accommodations and assisting them in acclimating to UNL and Lincoln. She has served on the International Student Advisory board and currently serves on the International Student Services task force. Sylvana was born in Pakistan and as an American, has travelled extensively around the world to Kenya, Brazil, Turkey, India, Greece, Israel, Germany, Italy and others. Sylvana holds a bachelor’s degree in business administration from University of Karachi-Pakistan. While English is her mother tongue, she can converse in Urdu and Hindi. Kaitlyn works as a Student Success Navigator for the CUSP Scholarship Program. Kaitlyn ensures international students from Rwanda successfully acclimate to campus, have full access to support services, and are connected to professional development opportunities. Prior to joining IANR, Kaitlyn spent several years working with study abroad students in Paris, France and Madison, Wisconsin. Most recently, she worked in Hangzhou, China as a college counselor at an international high school. She helped students research and apply to universities, and led college readiness workshops. While her focus is preparing international students prepare for their transitions abroad, she has also worked as an English language instructor. Kaitlyn holds a bachelor's degree in French from Grinnell College and a master’s degree in French and international education from the University of Wisconsin: Madison. She would love to speak with you in French or English! Chris’s primary responsibility is to help Chinese students that are part of the 3+1 program with Northwest Agriculture & Forestry University and the University of Nebraska-Lincoln matriculate seamlessly through their 4th year of college at UNL. In pioneering this role, he is creating ways to bridge the gaps of cultural adaptation, cross-cultural experience, English language enhancement and integration to UNL and Lincoln. Prior to coming to UNL, Chris worked for a non-profit organization in Japan for seven years while working with Japanese college students and communities. Chris also focused on HR and programming for another non-profit here in Lincoln where he engaged with international teams throughout Asia, Europe, Central America and the US. In addition to his global work, he spent several years in hospitality management. Chris is a graduate of University of Nebraska-Lincoln’s College of Agricultural Sciences and Natural Resources (CASNR) and speaks Japanese. Lameck works on special assignment projects for IANR Global Engagement including providing technical support for the RICA (Rwandan Institute for Conservation Agriculture) project and coordinating the development of a proposed training program for center pivot irrigation managers and technicians for Sub-Saharan Africa. 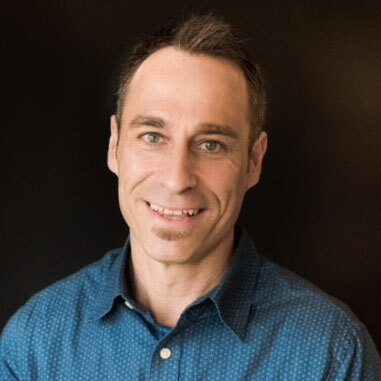 Lameck is a Research Associate Professor in Biological Systems Engineering Department and also serves as an Irrigation Specialist at the Daugherty Water for Food Global Institute (DWFI). Lameck’s expertise is in Irrigation Engineering and Water Management. He studies evapotranspiration measurements and modeling, develops deficit irrigation strategies, evaluates tillage practices on crop water-yield relationships, uses water metering in irrigation management, and investigates the intertwined decision making and farmers’ behavior with regard to irrigation water use. Lameck also works with small-scale farmers to develop and implement sustainable crop production under shared center pivot irrigation systems in Tanzania and has been involved irrigation system work in Kenya, Thailand and Azerbaijan. 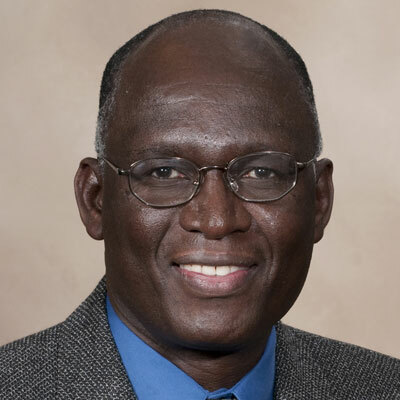 Lameck holds a technical science doctorate in irrigation engineering and water management from the Asian Institute of Technology in Thailand, a master’s degree in soil and water engineering from Seoul National University in the Republic of Korea, and a bachelor’s degree in agriculture from the University of Nairobi, Kenya. He also speaks Swahili.